"Establishing vanguards in conserving heritage vehicles and evolving energy efficient means of transport"
A collection of classic boats from 1920's has been meticulously conserved. 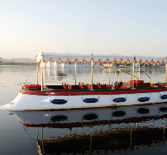 The heritage motor launch Ford used in 1961 during visit of Majesty Queen Elizabeth II's visit to Udaipur is restored and functioning today in Lake Pichola. The heritage motor launch Chrysler was also restored in 2006. The 1905 vintage 'Royal landau Four-in-Hand' was restored in 2006 and is currently at Garden Hotel, Udaipur carefully restored to its original glory. 'Royal Landau Six-in-Hand' 2006 is also used in ceremonies at the City Palace. Solar vehicles including boats, rickshaws and motor cycles have been developed by the Mewar Solar Cell to promote energy efficient transport. Solar boats were introduced in Lake Pichola in 1995. A 5 passenger boat is now being used at Gajner and an 8 seater being used in Pichola. 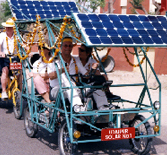 There are 6 solar rickshaws and a solar motorcycle that was also developed. 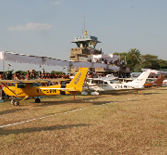 Celebrated the world's Air Traffic Controller's Day 2008 at the Shikarbadi Field where the House of Mewar collection of radio controlled model aeroplanes was displayed. 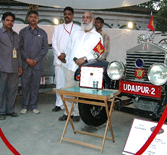 In April 2003, The Mewar Solar Cell organised a noncompetitive rally to test these prototypes on the roads in Rajasthan. It was an event that attracted 21 participants from UK and USA, who sponsored the design and construction of the rickshaws that they donated, at the end of the rally, to MMCF. In April 2004, 33 participants joined the International Solar Rally that completed 1200 km with 14 vehicles powered by solar photovoltaic panels as the source of energy. 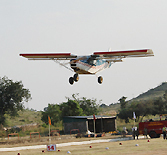 Udaipur Solar No. 5 a four-wheel vehicle achieved an average speed of between 20-25 km per hour over a distance of 150 km. The Cartier 'Travel with Style' Concours is positioned to join the world's top Concours events, alongside the Concorso d'Eleganza held at The Villa d'Este, the Pebble Beach, Concours d' Elegance' is an exclusive international contest, not about racing power or speed but where invited participants display their The Vintage & Car Collections. Convened for the first time in India this year the 65 cars on display were each unique and extraordinary. During the time of the Raj, India's affluent ruling families bought the finest cars and the greatest coach builders and designers were specially commissioned to produce lavish, distinctive and sometimes bizarre specification to satisfy the taste of their fabulously rich clients. The Vintage & Classic Car Collection, Garden Hotel, Udaipur selected two cars from their collection to participate in the two main award categories, Best of Show and Best of Class (in four categories) : Vintage classic; Post war Classic; Roadster and Exotic. In the Best of Class Category, Vintage Classic , the 1924 Rolls - Royce 20 hp, Barker Tourer (GLK 21) from the The Vintage & Classic Car Collection was proclaimed the winner. This distinguished automobile was awarded the prestigious honour of first prize fulfilling and even exceeding the winning parameters of authenticity and originality, its hand tools, original manuals and dossier. The judges' panel included HRH Prince Michael of Kent, Lord March, Sir Anthony Bamford, Nick Mason, Imran Khan, Monica Bellucci and Sophie Marceau. Orchestrating the event was HRH The Duchess of Cornwall's brother, travel writer and conservationist Mark Shand. 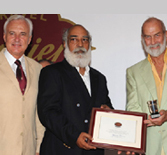 C.E.O of Cartier International, Monsieur Bernard Fornas and HRH Prince Michael of Kent presented a trophy, plaque, and a certificate to Shriji Arvind Singh Mewar of Udaipur, at the Royal Western India Turf Club on November 2, 2008 in Mumbai.